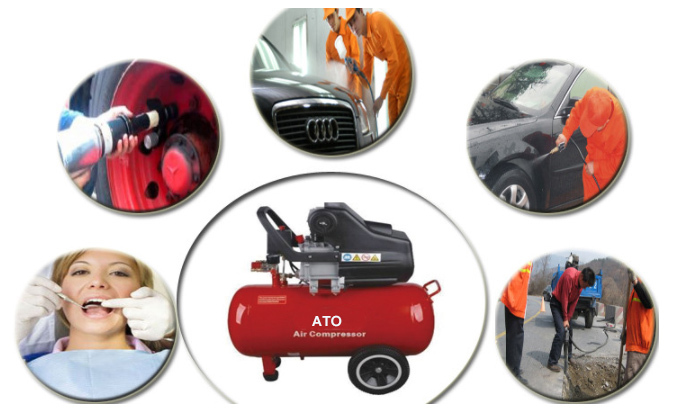 2.2 kW (3 hp) air compressor is powerful and portable with a built-in wheel kit and easy carry handle. 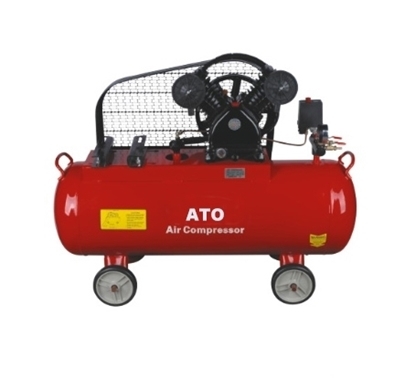 Using the long life highly efficient, smooth and quiet operating 11.8 CFM, twin cylinder belt drive compressor pump, and the tank capacity of this 115 PSI air compassor is 18 Gal.. The 2 hp (1500W) mini air compressor benefits from a 4 Gal./6 Gal./11 Gal./13 Gal. capacity and is powerful enough to operate a wide range of general purpose air tools and machinery. 115 PSI max provides more usable air for longer tool run time. Portable with small size, low cost, oil save and energy save. Include a convenient handle, smooth-rolling wheels and a fully shrouded pump and motor for protection. 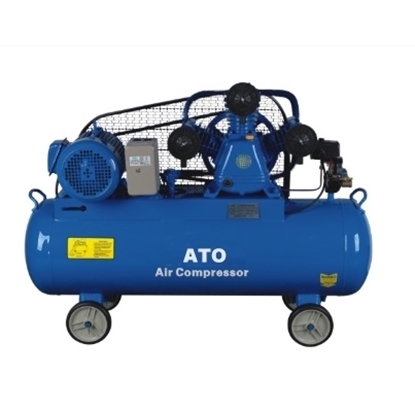 You could choose different type of 2 hp air compressor pump with different capacity of air tank. Operation and maintenance of the air compressor must be carried out by qualified personnel. Air compressor must be sealed off for cleaning before use. Check if there is corrosion phenomenon of each friction surface. Rust place should be grinded bright and clean with oilstone and the friction surface should be coated with lubricating oil after being sealed off. 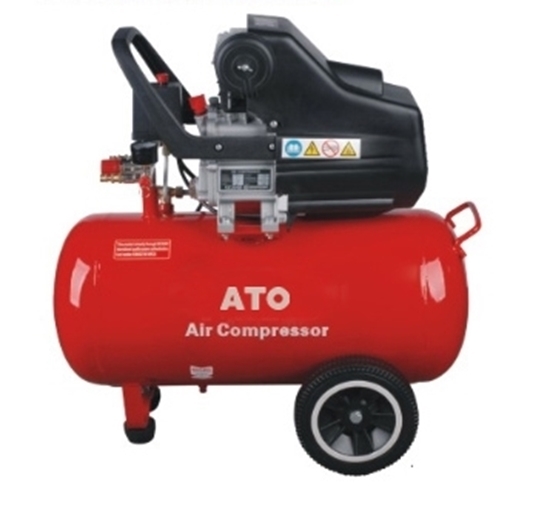 The air compressor base should meet the specified requirements and the gas pipeline should be cleaned. Check the fastening degree of motion and static joint part of the air compressor. Check whether the instrument is qualified and properly installed. Check and clean the oil pool of the machine and pour clean lubricating oil into the specified height according to the regulations. Check whether the cooling water flow is in line with the requirements, whether the waterway is unblocked, or whether there is water leakage. Check the external part of the air compressor and the motor and take away the tools and all the unrelated items. 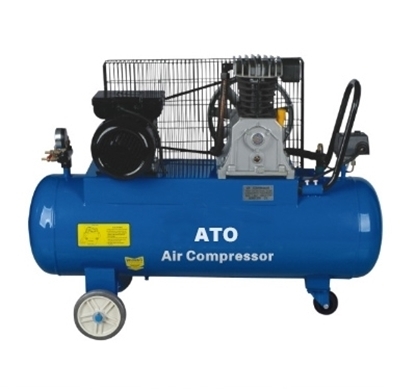 Check whether the control and safety protection device of the air compressor is in good condition. Small and compact air compressor, it is easy to move around and to use. This little 2 hp air compressor is great and really quite. I got it to replace a harbor freight and a husky compressor that are so loud I couldn't use them in the garage. I have been really impressed with this compressor and would recommend it to anyone who wants a small light weight and very clean quiet compressor to use around the house or garage.